Wherever I go, I always think about the connection between the alimentary canal and travel. Is there any? I believe yes. I was really upset when I had no paella on my last visit to Spain. 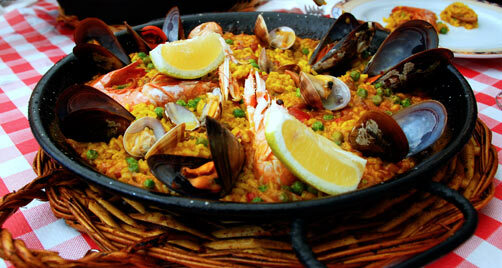 Paella used to be what was a combination of the leftovers of the Spanish kitchen in a week but now it has become a traditional Spanish dish comprising saffron rice, meat, chicken and seafood and is a must eat when you visit this part of the world. Although I toured many gorgeous historical sites in south Spain including Cordoba and Granada with its vast gardens and palaces, I always had the feeling I had missed something. Of course, I compensated by indulging in tapas (something like the Oriental mezza or the Italian antipasti: an assortment of small dishes with little portions of chicken, sausages, fried vegetables, sea food, cheese, olive oil mixed with herbs and green olives that come with hot freshly baked bread). I bought a bottle of olive oil, green olives, cans of Spanish salmon and caviar on my way back home to remember an unforgettable trip. This eagerness to explore a country’s cuisine is not just me. Food has always been part and parcel of the travel experience. Travellers would visit Italy with pasta, pizza and risotto in mind, and would travel to Germany with images of the traditional German sausages and pretzels and they would never forgive themselves if they went to India and missed a tandoori chicken meal served with punjabi bread together with spicy pickled mango. Thailand is a nice tourist destination but the adventure would be incomplete without tasting healthy Thai dishes, and a trip to Japan would be less without eating sushi. The same applies to the Middle East. European and American tourists travel to Middle Eastern countries for their history, culture, civilisation, beaches and their Oriental cuisine rich in aromatic spices. 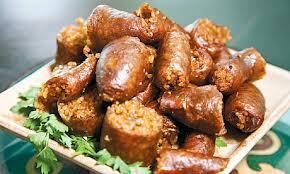 Egypt is known for its rich cuisine, a mixture of Egyptian, Turkish, Greek, Syrian and Lebanese specialties. 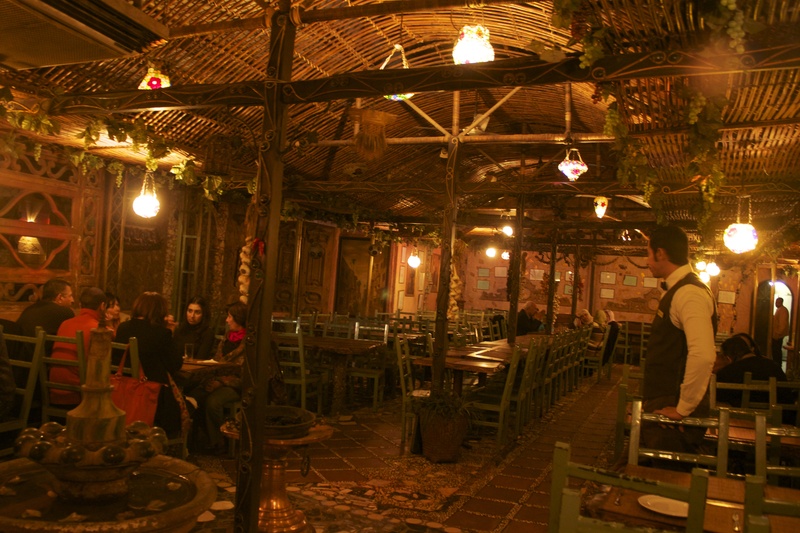 Travellers to Cairo and Giza, for instance, can spend hours touring the historical sites but at the end are rewarded with a sumptuous meal at one of the many restaurants dotting the city or at a five- or four-star hotel. At night they can end their day with an exclusive dinner buffet on board a floating restaurant accompanied by an Oriental singer and belly dancer. 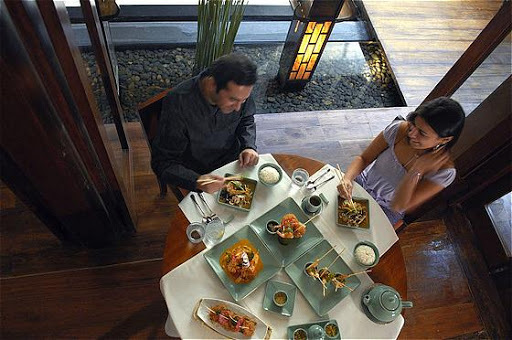 According to tourist experts, travel and food are very much linked. It is not only what travellers are attracted to, but they could also be attracted to a particular property, a hotel or resort, because of its delicious food and quality service. If you go to a property that is a masterpiece in architecture and has the most fantastic location, overlooking a sea or a river, and the most spectacular landscape, but the food is not up to par, most probably you will not repeat the experience. However, if you go to a property that might not be the biggest or the most exclusive but the food and service are great, you will never forget it and might be your preferable destination in a following vacation. “Definitely food and travel are interrelated,” says Dina Sarhan, a food consultant. “Places like the south of France, Mediterranean countries and Australia are famous for their fresh products that travellers like to try. Travellers are now more health conscious. They know, for instance, that the Mediterranean countries have a healthy diet that depends on olive oil, extremely fresh vegetables and omega-free products. They go to these countries to try and to explore. The reason behind the worldwide boom of sushi is that the Japanese live longer due to their diet and their use of gluten-free products. They never, for instance, suffer from any allergy,” added Sarhan, founder of the Dina Sarhan Culinary School. 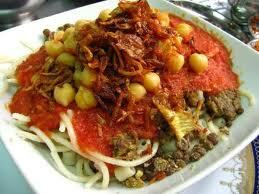 According to experts, food in Egypt has witnessed major changes in the past few years. 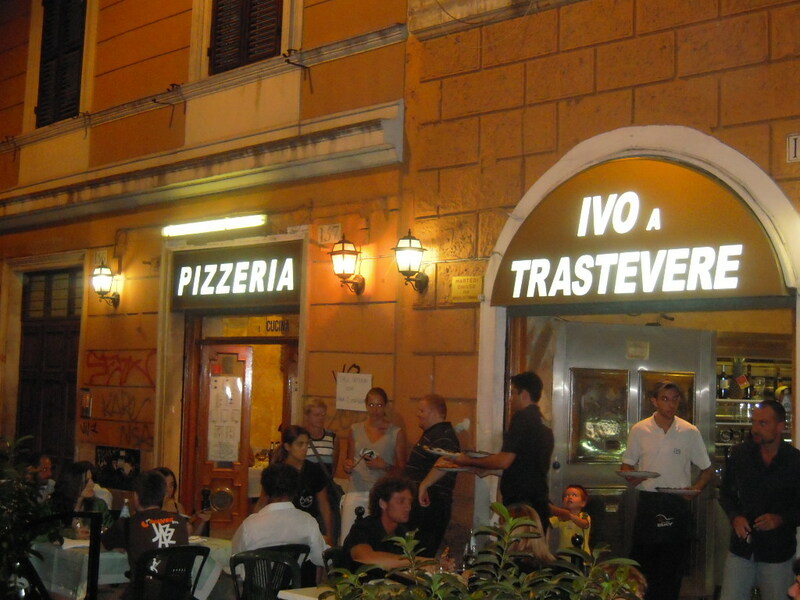 In the early 1990s there was nothing except a couple of restaurants targeted by most travellers and locals. They focused mainly on Oriental specialties such as bamia (okra), molokhia, stuffed vine leaves, stuffed pigeons, rice with nuts and chicken kidney, Om Ali (a kind of bread and butter pudding), muhalabiya and konafa. 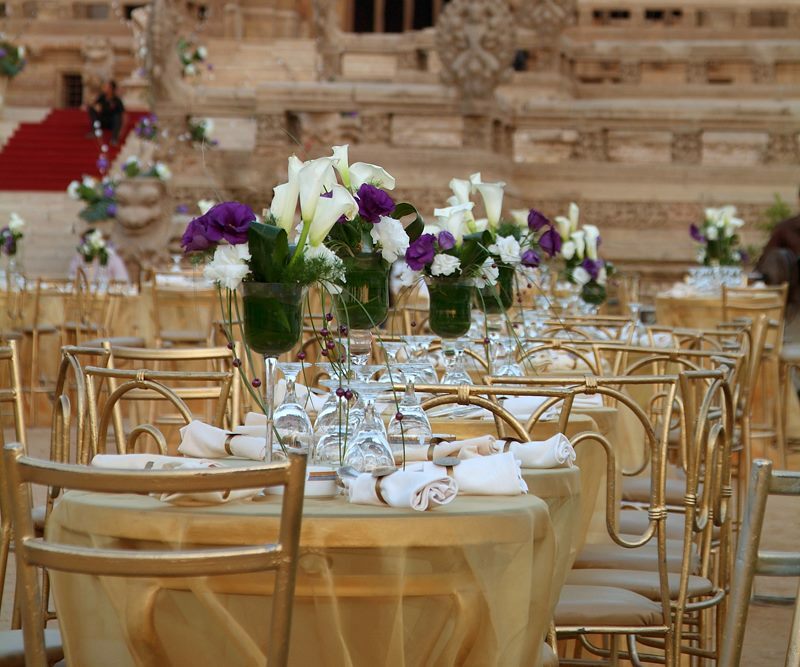 By time and by the advent of the new millennium, the number of restaurants increased and efforts were made to provide different cuisines catering to different tastes and nationalities. As a result, many Italian, French, Mexican, Chinese, and Indian restaurants cropped up. Japanese and Thai dishes have become in vogue. Many cafés and bakeries have also appeared. Some people say a new restaurant opens every month. Hotels in Egypt are not far from such culinary developments. Hotels and resorts in Cairo and tourist resorts are either developing their old outlets or launching new ones in line with the new trends. Moreover, most hotels are bringing professional chefs for every specialised cuisine: an Italian chef for an Italian restaurant and so on, to make sure that the dishes will come out authentic. Out of his belief that fish is the most important part of the menu, Ginacarlo used all of his talents to create one of the most exclusive seafood soups I have ever tasted. It includes calamari, shrimps, mussels and clams mixed with cannellini beans and garlic country bread bruschetta. Although I never imagined fish with beans, the ingredients were harmonious and original. Ginacarlo’s seafood menu includes dishes of barbecue seafood, roasted sea bass, pan- seared Spanish Mackerel, and baked light smoked salmon. 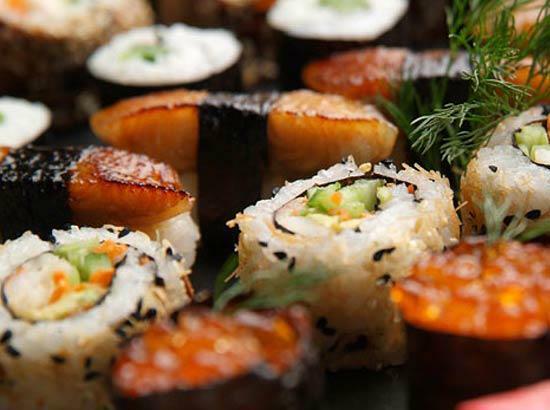 No doubt then that the hotel’s Wednesday’s sea food open buffet is a big winner where guests are offered a big variety of sea food and sushi. They can also choose their raw fish to be cooked the way they want. Due to this big development in the business, Cairo attracted few years ago international culinary competitions such as the global Black Box culinary challenge organised by Meat & Livestock Australia (MLA). It is a very prestigious event in the culinary world globally endorsed by the World Association of Chefs (WACS). That year’s round saw 27 countries hosting the event with the global final held in Dubai. It was the first time the event had been held in Cairo. Eight hotels in Cairo participated and each team consisted of three young chefs competing against each other on a platform. Judging was done on the basis of taste, skill, creativity and artistic merit. The winning team represented Egypt at the world final. The day before the event each team was provided with a “black box” containing a selection of mystery ingredients. 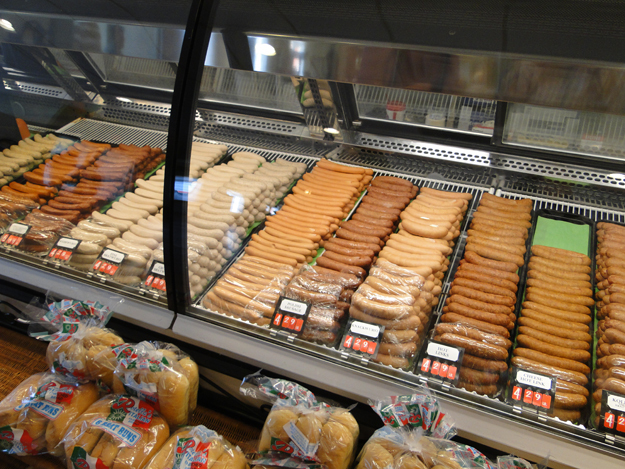 These ranged from quality Australian meat or lamb, seafood, fruits, vegetables, spices and dairy products. Once these ingredients were presented, each team was given exactly one hour to plan a four-course menu using the ingredients in their black box. After the allotted time, teams handed over their menus to the judges and returned to their respective kitchens to start preparing their menu for the gala dinner that was held the following evening at the Grand Hyatt Hotel. All completed meals were displayed and judged at the gala by a panel of international judges. “The aim of the competition is to give young chefs the opportunity to show off their talents and this gives them a lot of confidence by participating in such a big event. And it helps in exchanging experience,” said Rodney Sims, technical manager at MLA and coordinator of the regional Black Box culinary challenge. Sims said this kind of competition increases the schooling level and knowledge in ways to please the customer. 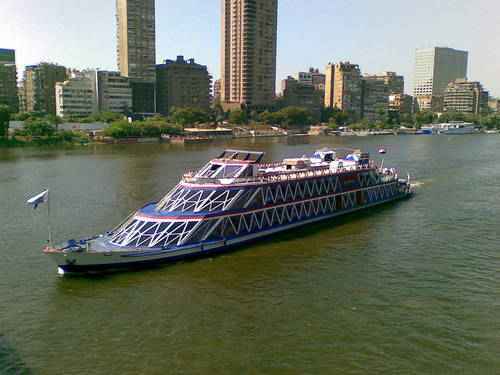 “I believe that Egypt is a great tourist destination and has a great hospitality business. 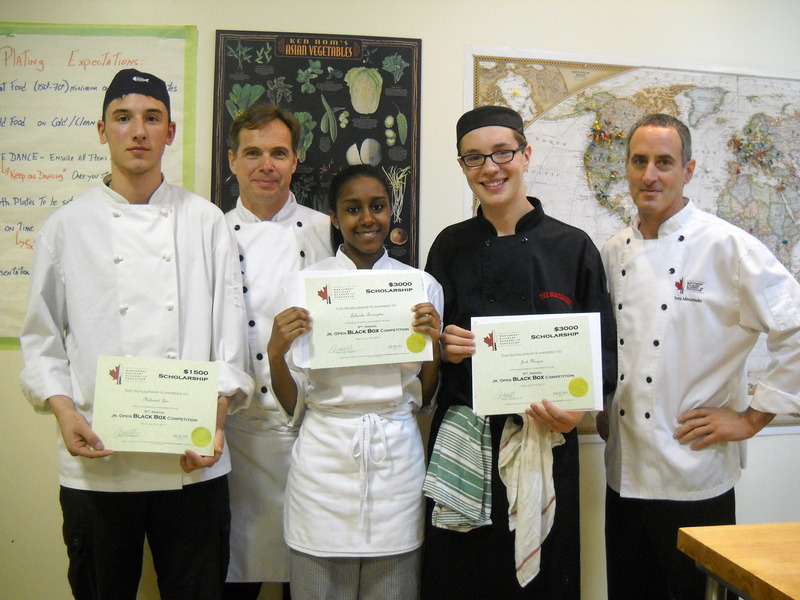 Such competitions encourage young chefs to improve and provide better quality,” Sims said. According to Mirjam Van Ijssel, executive director of the Egyptian Chefs Association, all Egyptian professional chefs are invited and entitled to register for culinary competitions in general. “The Black Box tries to promote young talent. All competitions serve as a learning and training experience for chefs. Getting ideas and sharing knowledge. Also the winning team will represent Egypt in Dubai in 2008, so they will have the opportunity to travel and see teams from many other countries and their culinary creations. Competition also puts the chef’s profession in the limelight, and so makes the chefs feel proud of their profession, which makes them do a better job,” Van Ijssel said. Culinary experts believe that despite the new boom in the number of restaurants, cafés and food lounges in Egypt, Egyptian chefs are still lacking the appropriate training. According to them, food is the essence of tourism. After safety, tourists are interested in food. They won’t come back to a country where they have had bad food experiences. 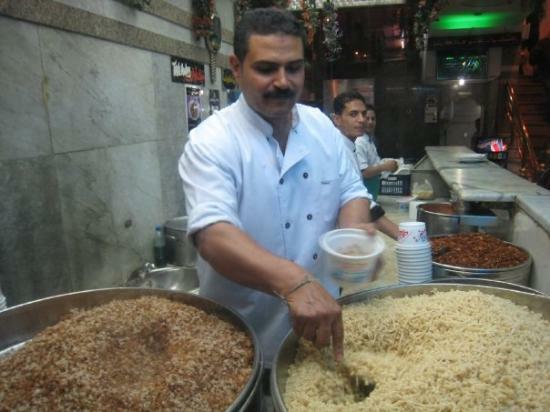 “Egyptian chefs have never been given the opportunity to learn how to do the job properly. There are still no specialised culinary schools in Egypt,” said Markus Iten, president of the Egyptian Chefs Association. 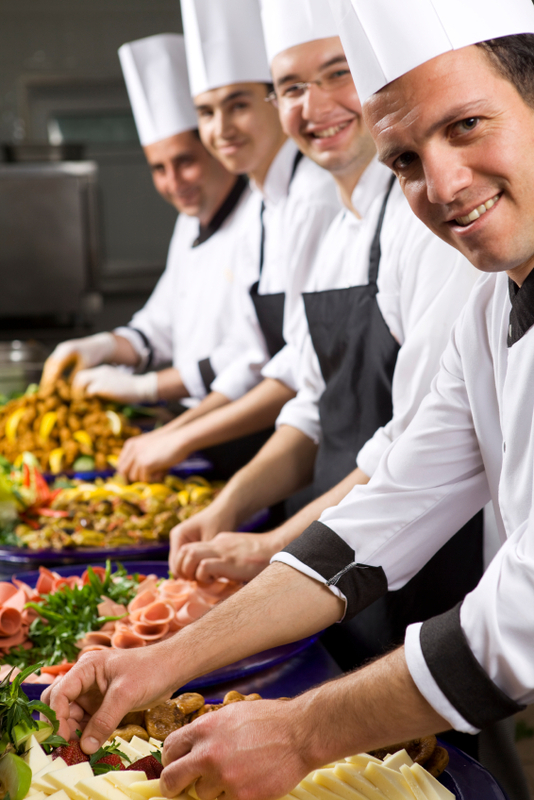 The association’s experts estimate the number of chefs at about 70,000, including those working in hotels, restaurants, airline catering, hospitals and the army. “Chefs can only learn from other chefs on the job. Some are lucky to be in a five-star hotel where they might receive a good internal training programme, but most of them are not so lucky. The number of five-star hotels against total hotels is approximately 200 five-stars from the more than 1,200 hotels in Egypt. In addition when the hotel is busy with functions, the training often gets neglected, as serving the customer comes, of course, first,” said Van Ijssel. Another drawback in the Egyptian culinary scene, according to food experts, is that there are no serious attempts at developing traditional Egyptian cuisine which could be a tourist attraction in itself. Besides fuul (beans) and taamia (minced beans with greens), the Egyptian cuisine is rich in a variety of dishes such as kwarei (animal legs), mummbar (stuffed animal intestines), fisha and kirsha (animal internal parts), colcasia and khobeeza. “There are very limited attempts at food development, and cannot be compared to those of some of our neighbouring countries like Lebanon or Turkey. There, they draw a lot of attention to their local cuisine. 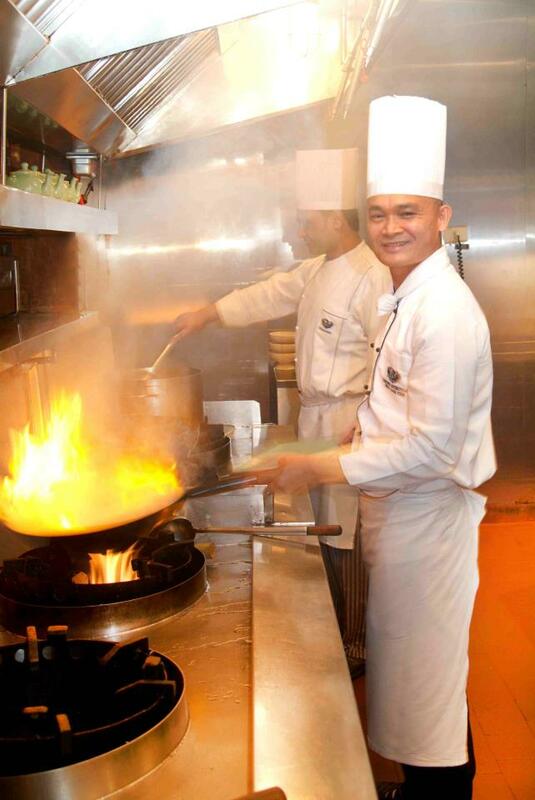 They feel proud of their food and they are very skilful in their job and very clean,” Sarhan said. Van Ijssel believes Egyptian chefs are not as good as preserving their traditional cuisine and promoting it like Lebanon or Turkey. 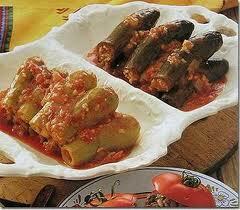 “The Egyptians in hotel kitchens mainly serve European or Western cuisines and Lebanese. Nowadays Asian cuisine is gaining popularity,” she said. She added that Egyptian cooking should be studied by chefs to see how they can preserve recipes and serve such foods in line with modern contemporary styles of plated dishes suitable for a la carte service. 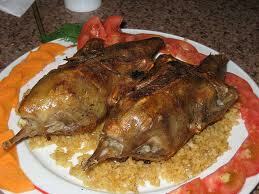 “Egyptians living abroad are not very keen on opening Egyptian restaurants or promoting the cuisine. They often operate pizza and Lebanese outlets since those have proven to be popular,” she said. WHEN FOOD IS THE LINK: When Lufthansa, the German Airlines, thought of celebrating its 50 years of service in Middle Eastern countries, it didn’t find anything better than food to serve its objective. The New Arabian Cuisine was its exclusive innovation in celebrating the occasion. The cuisine is an attempt to link East with West, or Occident with Orient, to form one homogenous entity. Two chefs from the Occident (Germany and France) and two from the Orient (Egypt and Syria) developed New Arabian Cuisine together. Jointly, they fused the finest ingredients and flavours of the Near and Middle East together with the refined arts of European cooking with an entirely new form of presentation, while never losing sight of Arabian cooking traditions in which these dishes have their roots. The outcome of that innovative idea is a fascinating culinary book, New Arabian Cuisine, printed in English and German, and in the First and Business menus at Lufthansa. It is designed by German chef Ingo Maass and presented exclusively to Lufthansa passengers flying to the Arab world. On a trip from Cairo to Frankfurt some years ago on Lufthansa, I was impressed by the innovative combination of both Arab traditional food and European delicacies in the food menu. For the hors d’oeuvre I chose from cold fish terrine and Arabian Ratatouille and grilled halloumi cheese and labneh cheese balls. In salads, I had Oriental couscous, European bread, rolls and butter. In the main dish I had several choices — either a lamb noisette in feta cheese crust complemented by tomato sauce, green asparagus and red lentils, or a fillet of Pangasius fish with spinach and kushari lentil rice medley or Tlitli pasta with porcini mushroom cream and roasted vegetables. The choice in the dessert was harder and I had to decide on either a camembert and manchego cheese garnished with roasted pine nuts, a delicious nut cake Arabian style or a light fruit salad with pomegranate seeds. “When you get on board what do you remember? It’s food. If you want something different, this should be the thing,” said Thomas Preinl, Lufthansa corporate communications South East Europe, Africa and the Middle East referring to the new menu. 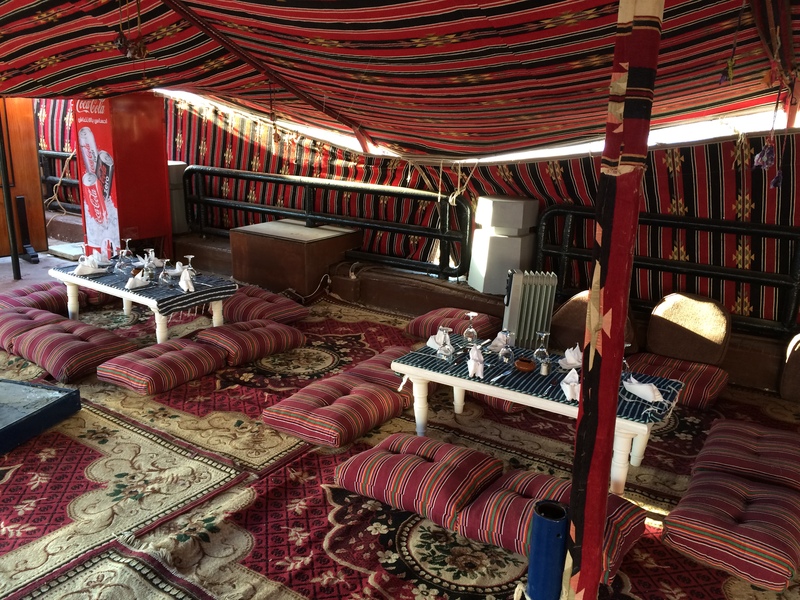 Preinl explained that the New Arabian Cuisine has a two-pronged approach. 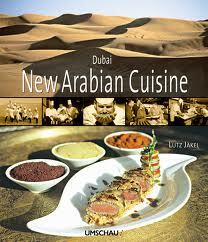 The first involved leaving traditional Arabian dishes virtually unchanged, yet presenting them in a novel way. 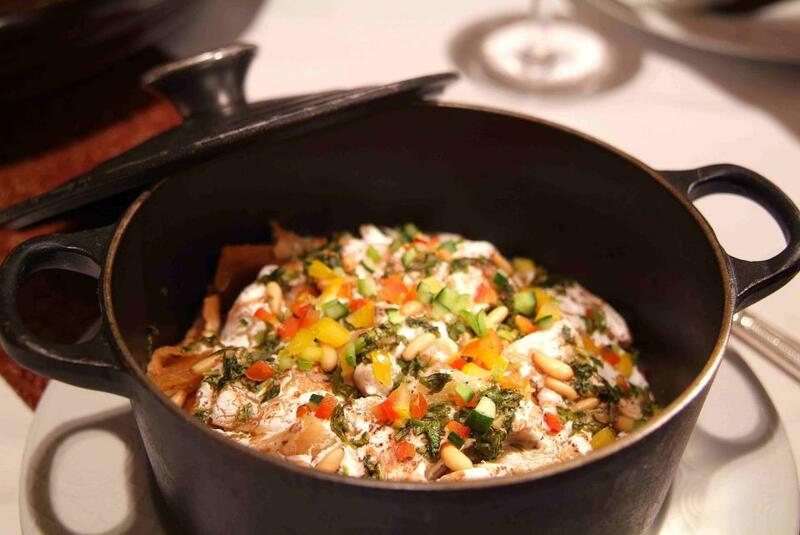 They are served with great refinement in combination with other traditional dishes and traditional ingredients not usually combined with one another in the Arabian cuisine like the “Arabian dhows” which combine taboula (parsley salad), labneh (similar to fromage frais ) and toasted Arab flat-bread. The second approach is to present European dishes with the kind of Arabian refinements which result in an entirely new nuance of flavour such as fillet of salmon in cinnamon coating, served with a fish cardamom sauce.